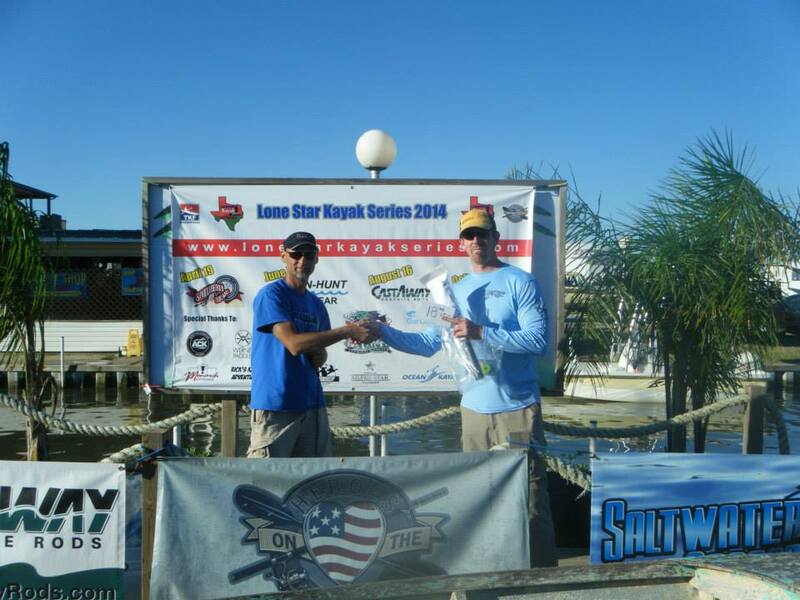 The 2014 Lone Star Kayak Series came to an end this past weekend with the final event of the season being held on October 4th. I have been mostly absent from the water since the last event back in August with only one trip made between the two events. Work, family, and other events have occupied my time over the past month and a half making it difficult to get on the water. I had no clue where I would go but got an invite from Jared to join him. He had been on some pretty good fish the past couple of weeks, plus fishing with friends is more enjoyable than fishing alone. My morning didn’t start off quiet like I had planned. My alarm went off and I was up brushing my teeth without even needing to hit snooze. While brushing my teeth I recieved a text from David telling me that he was going to be late. He was up late as the administrator on duty at a football game the night before which caused him to get home late and wake up late. I didn’t really understand why he would be late considering we live about the same distance from our launch. A few minutes later my phone rang and it was another friend that I had planned on meeting at Bucee’s for breakfast. I asked him what he was up to as I answered the phone and he told me that he had just pulled into Bucee’s but didn’t see me around. At that point I looked at my clock and realized I had set my alarm for 4:40 instead of 3:40. I had an hour and twenty minutes to get to the launch, unload, and be ready to push off at 6:00 with a long drive ahead of me. I hung up the phone with Aaron, rushed downstairs, threw my kayak in the truck, and was on the road by 4:50. The launch is a good hour and fifteen minutes from my house while driving around or slightly below the speed limit. I drove a few miles over the posted limits and decided not to stop for breakfast. I knew that if I hurried I would be able to launch on time or just shortly after. I arrived at the launch at 5:50 and with a little help from Jared I was unloaded and ready to go by 5:57. So I actually got an extra hour of sleep but had to skip breakfast which I wasn’t a fan of. I knew I would be covering close to 10 miles on this day in high winds so not having any fuel had me a little worried. We launched right at 6 am and started to make the 2 mile paddle to the spot we planned to fish. Winds were predicted to be 20-25 miles per hour but could not have been more calm on our paddle out. We made our way through the dark, checking the phone GPS on occasion to make sure we were headed in the right direction. We reached our spot as soon as first light appeared and started looking for fish. We fished a small channel that connects two large lakes while waiting for the sun to rise a little. The channel is 6-8 feet deep in the middle but only 2-3 feet deep on the edges with lots of shell. I started off throwing a she dog while my popping cork with gulp drifted 20 feet behind me. This is a great way to increase the chances of catching a fish if you’re fishing a tournament where two rods in the water at the same time is allowed. As you drift and cast in front of you, the popping cork with gulp floats behind you making it an easy meal for a redfish that happens to be passing by at the right time. I picked up my first red on the she dog after about 15 minutes of casting parallel with the shoreline bringing the lure along the edge of the grass. The fish was a little over 20″ but I strung it anyway. A few cast later and another fish takes my topwater, this time it was just a small trout. I continued my drift and met up with Jared who was about 50 yards ahead of me to find out that he had landed a solid 26″ red on his popping cork. We kept moving without much luck and decided to move into the larger lake and work the grass line with the corks. Just before turning into the lake Jared decided to work his cork off the point of a small island with scattered shell and it payed off. He landed a solid 27″ red to give him 13+ lbs. on the day. We set up our drift and worked the grass line in the big lake without much luck until I came across a small pod of 8-10 reds coming towards me. I already had my popping cork in hand so I made a cast 10 feet in front of their path and waited a few seconds for them to cross paths with the gulp. Sure enough, the cork disappeared and I had a fish on. This one went 23″ so on the stringer it went. This fish was not exactly what I was looking for but the winds were picking up to their originally predicted speeds and I wanted to make sure that I at least came in with two fish, regardless of size. We continued our drift and came across another small pod of reds 5 minutes later. I pulled my rod with a soft plastic into my lap and prepared for a double hook up. The plan was to cast the cork 15 feet in front of the pods path and place it in the rod holder. Once it was secure I was going to use my soft plastic rod and make a cast into the pod when they were a few feet from my gulp. The plan never worked because the fish made a hard left turn 5 feet before reaching my cork and started heading towards the middle of the lake. 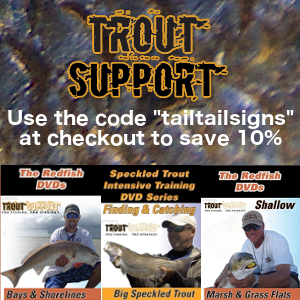 I fired a cast into the middle of them before they hit the deeper water and caught another 23″ red so the 20″ red I had caught first was released. At this point the wind had really kicked it up a notch so we decided to head back to our little channel and work it over. The quarter mile paddle back was tough but we arrived and started corking the channel along with David, who had arrived shortly before us. We weren’t having any luck near the channel so I decided to drift with the wind while working a slightly protected shoreline. I didn’t think two 23″ fish would do me much good so this was a risk I needed to take, even if it meant paddling back directly into the wind for several miles. I worked the shallow shoreline with scattered shell for several miles picking up 3 more reds along the way with the popping cork and gulp. Unfortunately, they were all 23″ like my others so I wasn’t able to upgrade. I had reached the end of my drift and had the horrible task of making the 4 mile paddle back to the truck directly into the 25-30 mph wind while dragging two fish. I started my paddle at 11:00 and paddled nonstop for 2 hours and 45 minutes arriving back at the launch at 1:45. I was completely exhausted, especially since I didn’t get to eat breakfast that morning, but was glad to be back on dry land. The Werner Cyprus: Hooked I am fortunate enough to paddle with was a lifesaver on this day. 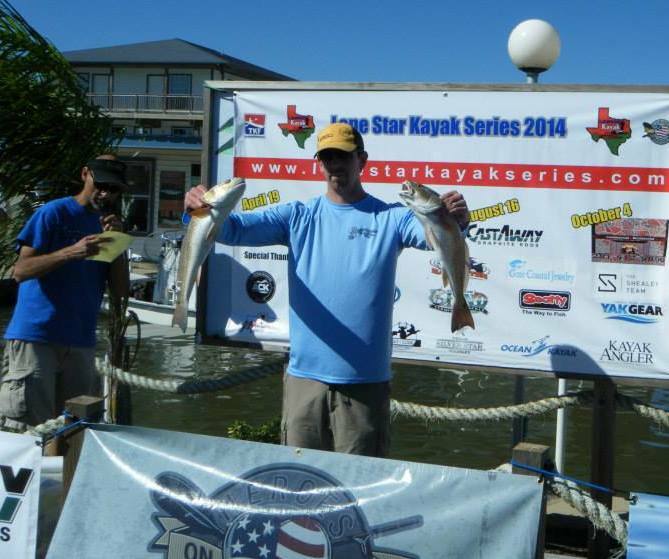 It was a good reminder on why a quality paddle is a must have for kayak anglers. David and Jared had headed back to the trucks as I started my long drift and had already arrived at the weighin. 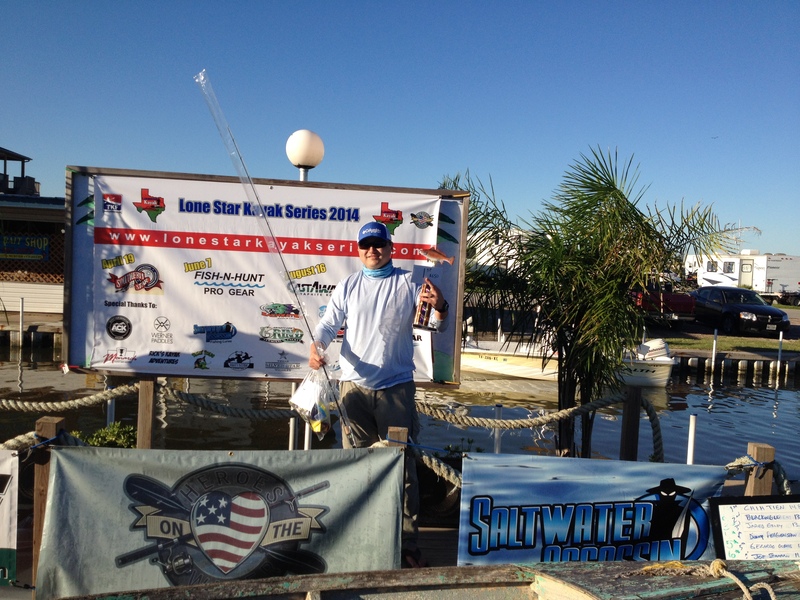 David caught two fish near 23″ and another friend fishing the area reported catching 6 fish, but all were 23″ as well. Between the four of us, we caught 20 fish, with Jared’s two largest fish being the only ones that weren’t in the 23″ range. After a short drive I arrived at Louis and weighed in my fish. I wasn’t expecting to be in the money with my two small fish but squeaked into the last money spot with an 18th place finish out of 74 anglers. That’s one of the great things about the LSKS, they pay out to the top 25% of the field which always gives you a decent shot at winning your entry fee back. Congrats to Chih Tien who took first place for the event while Jared held on to claim 3rd place giving him a nice cash payout and a trophy of the house. With this being the final event of the year, an Angler of the Year would be crowned once the prizes and trophies for this event were handed out. 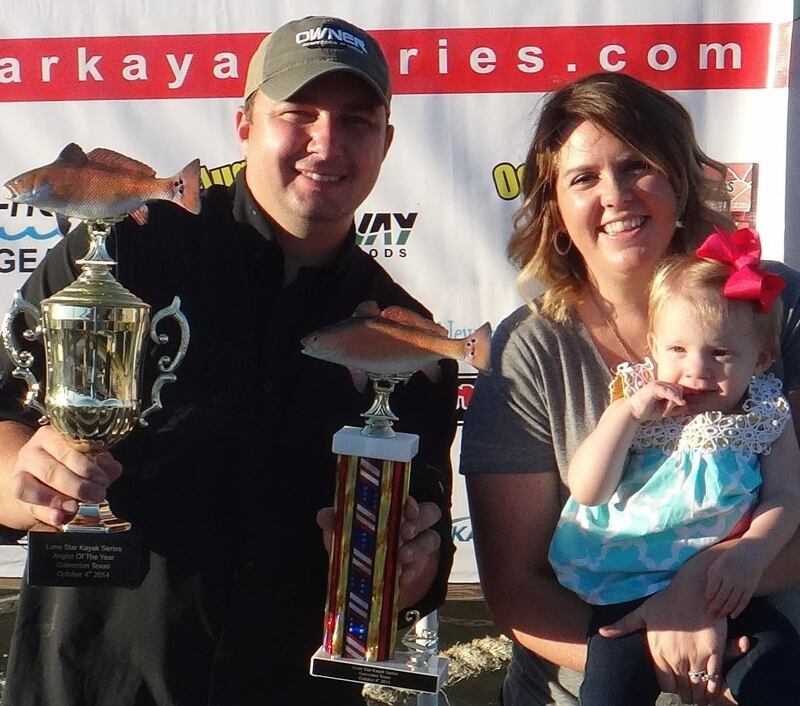 There was no surprise this year as Jason Blackwell dominated the overall points with 2nd, 4th, 1st, and 2nd place finishes during the four events this year. This makes him the back to back champion since he won AOY last year as well. 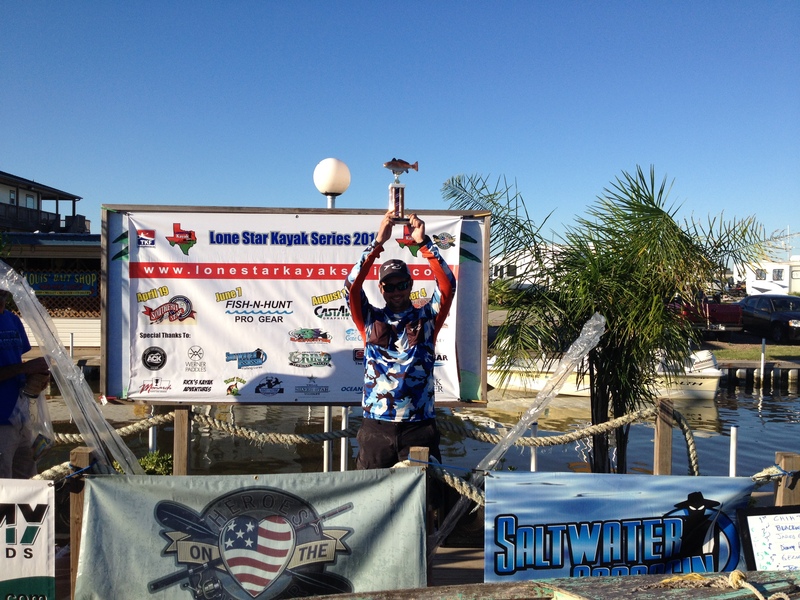 I finished 5th overall for Angler of the Year which matched my best finish from two years ago and Jared moved up to 6th place overall. I’m looking forward to next seasons events with the fact that we are growing every year in both sponsors and participants. A big thanks goes out to Werner Paddles for supplying my paddles and Hook Spit Performance Rods for my rods and clothing. If anyone is interested in the LSKS, you can read more about it by visiting the link below.